There's no shortage of financial matters you're juggling, both today and related to planning for the future. We're here to help you gain clarity and better understand topics that can be complex. 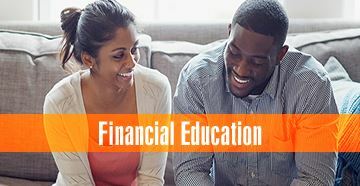 Our financial advisors can assist with hands-on planning and you can always take advantage of our monthly financial seminars in Beaumont, Texas, and put our advice into action. Let's work together for your financial success. You have the strength of our team behind you, helping you define goals and creating flexible strategies that always prioritize your needs. We're here to advise and act on all matters related to financial planning, managing your portfolio, and obtaining adequate insurance for everyone and everything valuable to you. Want to get the latest information on a variety of popular financial topics? Check back in soon to see a list of our upcoming 2019 seminars!